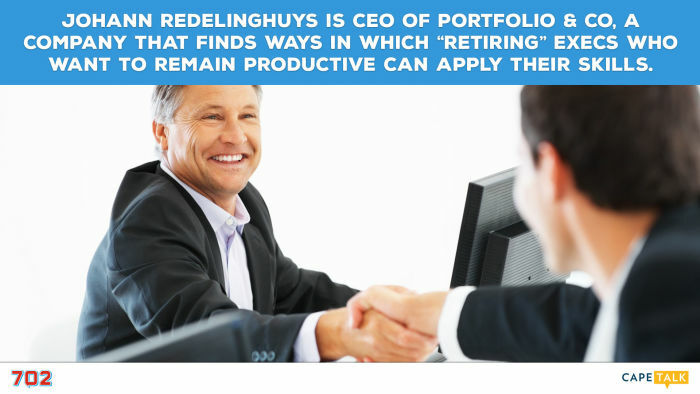 Johann Redelinghuys is CEO of Portfolio & Co, a company that finds ways in which “retiring” execs who want to remain productive can apply their skills. 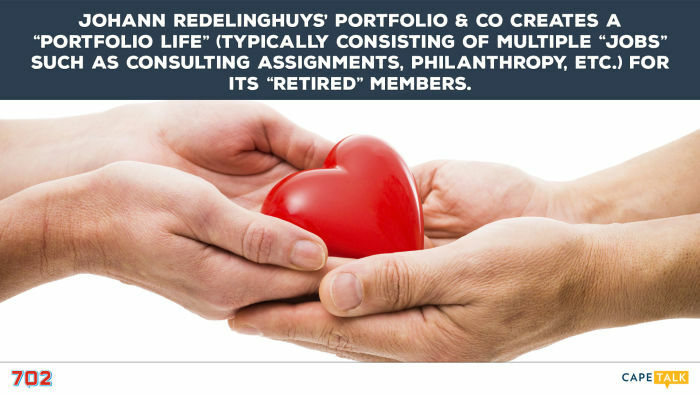 Johann Redelinghuys’ Portfolio & Co creates a “Portfolio Life” (typically consisting of multiple “jobs” such as consulting assignments, philanthropy, etc.) for its “retired” members. 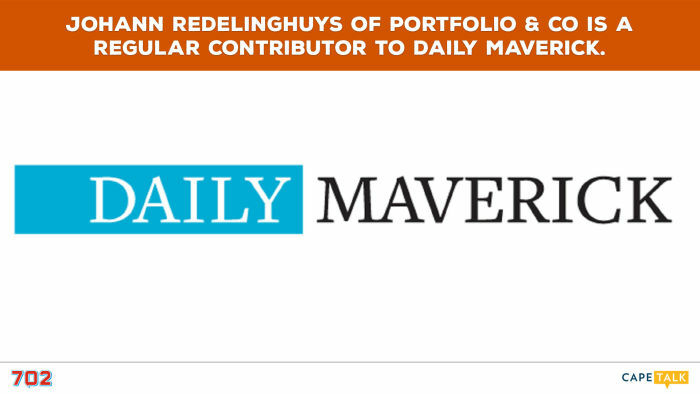 Johann Redelinghuys of Portfolio & Co is a regular contributor to Daily Maverick. “Why try and make retirement more palatable? 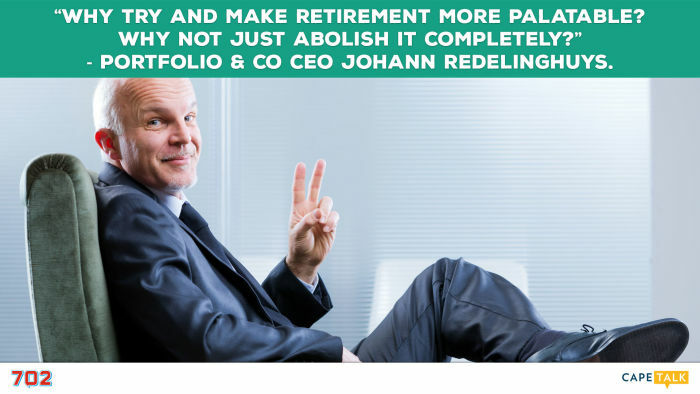 Why not just abolish it completely?” - Portfolio & Co CEO Johann Redelinghuys. 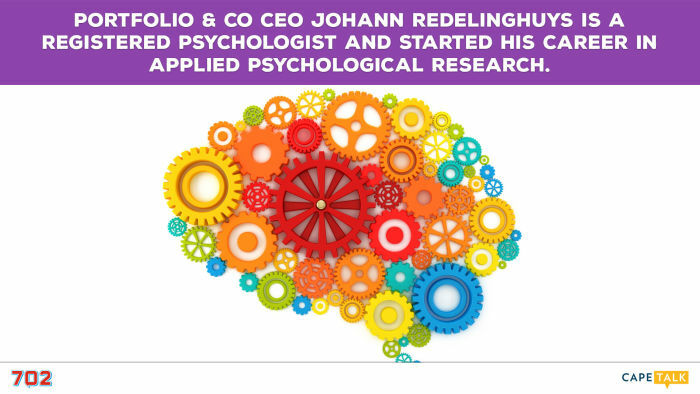 Portfolio & Co CEO Johann Redelinghuys is a registered psychologist and started his career in applied psychological research. Retired people sometimes become lonely, depressed and bored. We’re interested in people approaching retirement who don’t know exactly what they will do. South Africa is short of skills. Retired people are more willing to help if it’s on a part-time basis. It's not only about staying busy; it's about being productive. We’re getting older. What are you doing with your life from age 60 to age 90? You could be making a good contribution somewhere! We want you to enjoy your leisure time, but still have chunks of productivity. Giving back is one part of the portfolio we’re establishing. Often people have this desire, but don’t know how. This is not only about a hobby; this is a serious business and you can make money! People are leaving corporations at a younger and younger age. Often they want to do something else more fulfilling, but don’t know how. This is why we offer a series of coaching programs to show them. Warren Ingram, Financial Advisor at Galileo Capital, has these tips for anyone wishing to retire a decade or so from now.